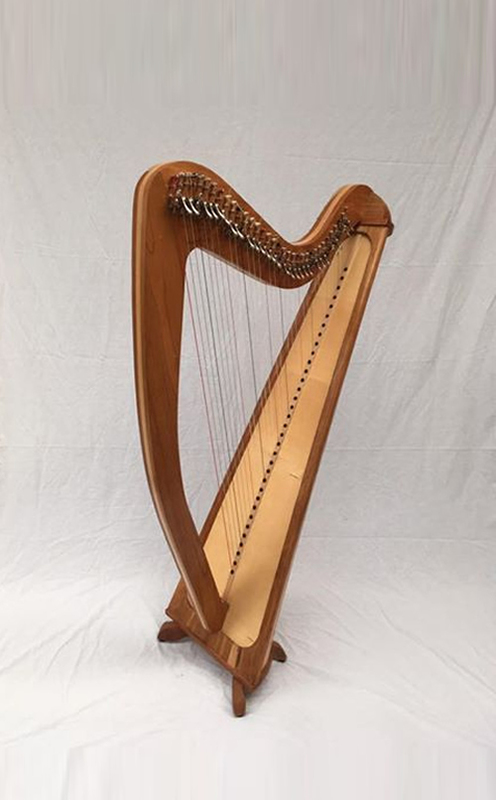 There are three harp models to date; The Ratheniska, The Dunamaise and The Dysart. 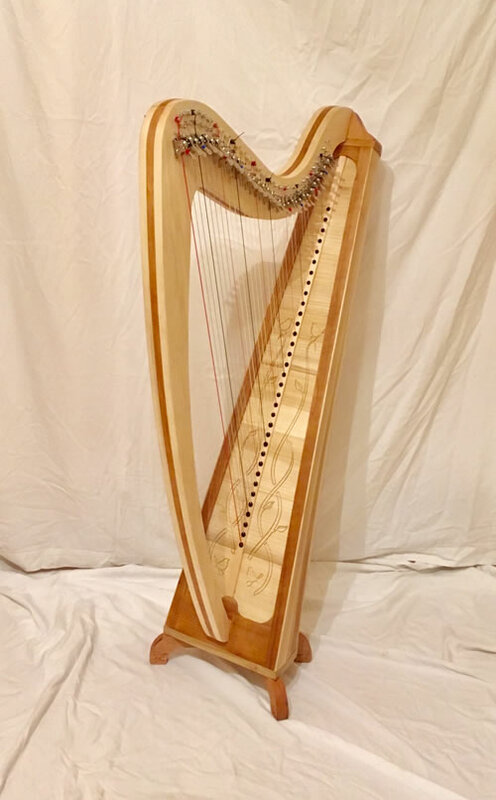 These Harps are made as one off bespoke designs using a choice of locally sourced hardwoods including, cherry, maple and poplar that are selected with particular attention to their acoustic qualities. 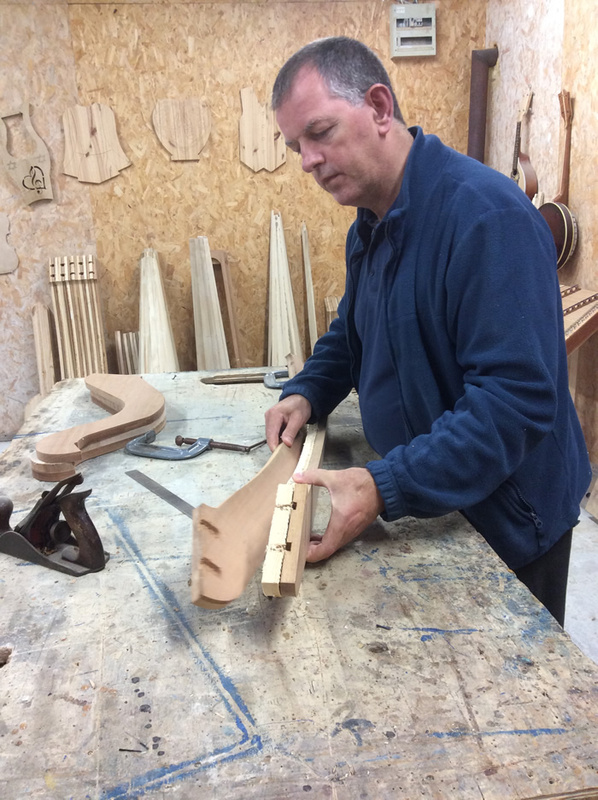 Customer input is welcome at every aspect of the build process, from wood selection for the bridge, neck, soundboard and a choice of inlays or engravings to personalize your instrument. 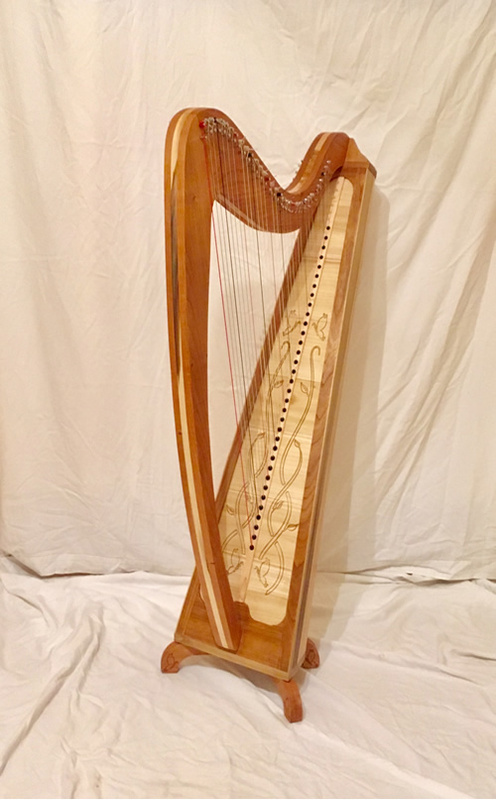 Our harps are owned and played by champion harp players local to our area and by many musicians. 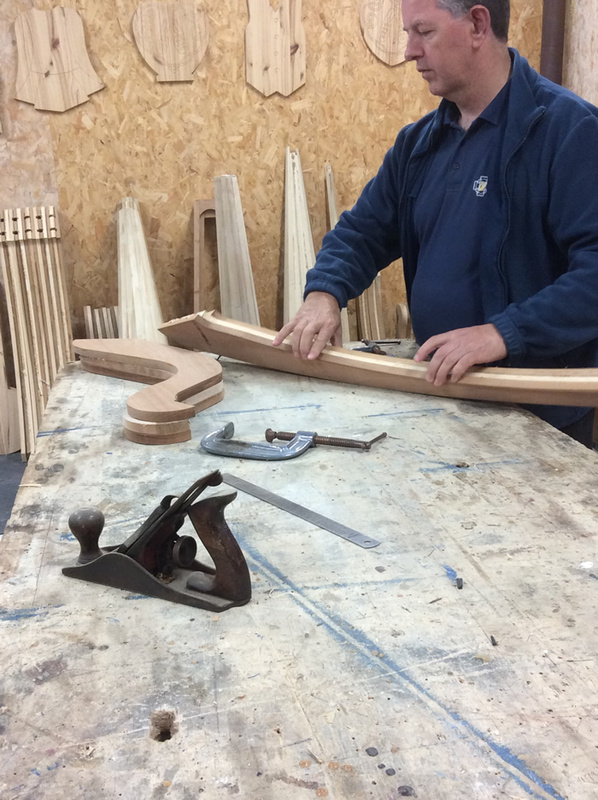 They love the special design string spacing that is also complimented by the high quality components. 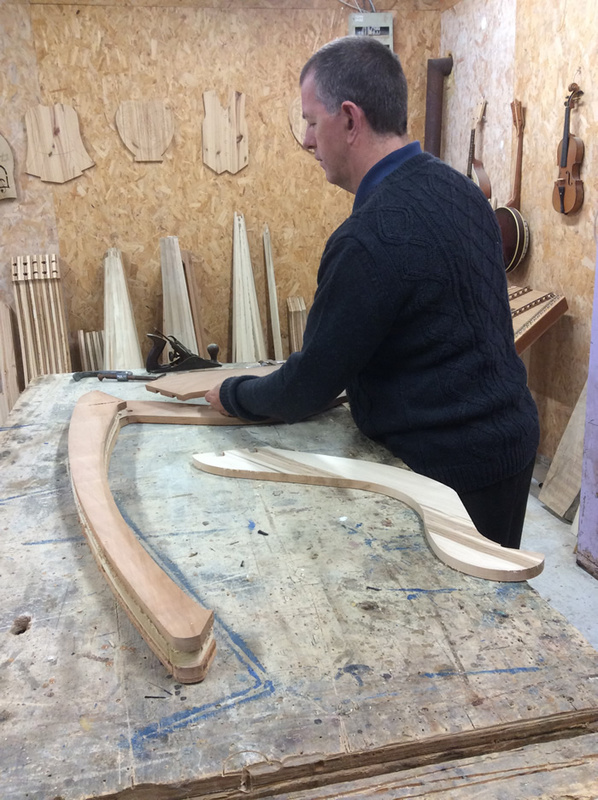 A lively well balanced tone is the aim for our instruments and this is gained through the order in which the manufacturing process takes place to gain the best from the wood’s natural tonal characteristics. See our shipping guide to see possible shipping costs. You can discuss shipping and local collection with Gerard.